The key to long-term success with any 5S program is simple: diligence. 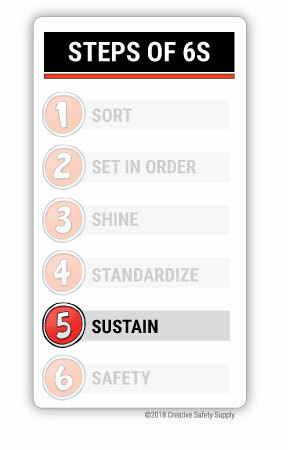 Now that the facility is organized and workers have procedures to maintain their workspace, it is time to introduce the fifth pillar, Sustain. Stemming from the Japanese term Shitsuke, this pillar is designed to keep staff motivated and on track. It is critical to take concrete steps to make sure the newly-implemented 5S program doesn't fall by the wayside. These suggestions and best practices can help Sustain 5S and keep the program functioning well. Assign the time to do it: Staff should be given the time to go through the steps correctly. For example, 15 minutes can be designated before lunch and at the end of shift for specifically Shine time. During this time, employees’ main focus is cleaning and organizing according to their checklists. Start from the top: The whole organization, from top to bottom, must be on board if 5S is going to work in the long run. If employees see that management is not following the steps, there will be little motivation for them to follow the steps. Create a reward system: Have friendly competitions between departments each month and reward the winner with a lunch or a priority parking spot. It doesn’t have to break the bank, but it can be extremely beneficial to show workers some appreciation for a job well done. Get everyone involved: Form a committee made up of employees and supervisors of different departments. Their job will be to oversee the implementation of 5S for a fixed period, maybe six months. Members can be rotated in periodically for a fresh perspective. Let them see it: Posters, banners, and newsletters can be a great reminder of the importance of 5S. 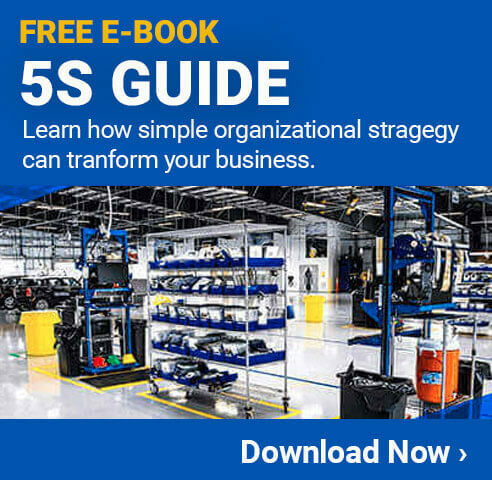 When 5S is implemented as a long-term program, it will become a part of the organization’s culture. As it is sustained overtime, positive results and improvements will just continuously improve.